Streamzone provides terminal equipment for both unrepeatered and repeatered submarine cable installations. In the same regards, we involves in new-build solutions through extensive partnerships with established providers of repeaters, cable and marine services. 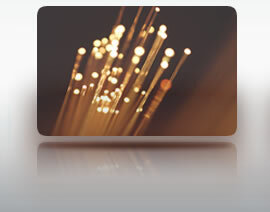 Synchronous Digital Hierarchy (SDH) has been the preferred transport technology over optical fibers. SDH is the dominant transport protocol in virtually all long-haul networks (voice and data) as well as in metro networks that were originally developed for voice traffic. As a resilient, well-understood transport mechanism, SDH has stood the test of time. Its reliability is unsurpassed. The ability of SDH to support 50-msec switching to backup paths, combined with extensive performance monitoring features for carrier-class transport. The phenomenal growth in bandwidth, connectivity and content generated by the Internet, Intranet and broadband applications, has made native data transfer a very important criteria for telecommunication infrastructure. 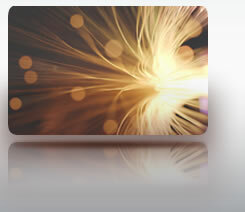 Ethernet has become the de facto standard for enterprise networks. In Storage Area Networks (SAN), ESCONTM, FICONTM and Fiber Channel are by far today‘s most dominating technology as well. Flexibility, modularity and scalability in configurations. Provision both voice and data services from the same platform. Efficient use of transport bandwidth by supporting per-port rate adaptive Ethernet services. Guaranteed availability and superior network resilience. Diverse topology support to cater to all customer network scenarios. Advanced protection schemes enable you to cater to differing customer protection requirements. Enables automatic topology discovery, shared mesh restoration and Point- and-Click Provisioning (PNCP). User friendly GUI based (PNCP). User friendly GUI based and remote provisioning.